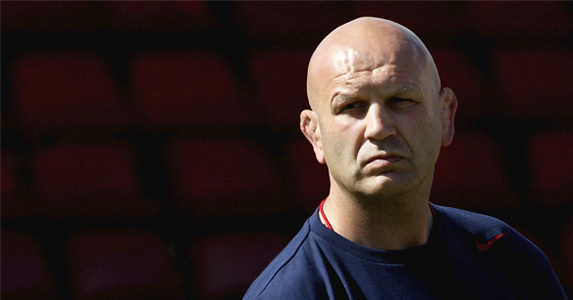 WORCESTER WARRIORS is delighted to announce that former England lock Nigel Redman has today been appointed as the new Forwards Coach at Sixways and will return to the club for a second spell. Redman rejoins the Warriors, where he previously worked as Academy Manager, after leaving his position as Elite Coach Development Manager at the RFU that he has held since 2008. The former Bath lock left Sixways to become a National Academy Coach in 2004 and coached the national Under-21 and Under-19 teams before leading England Under-20 to a Six Nations Grand Slam and a Junior World Championship final in 2008. Since then he has worked with Head of Elite Coach Development Kevin Bowring to support the development of coaches in England teams, the National Academy, Premiership and Championship clubs, and academies. Redman, an RFU Level 5 Coach and a graduate of the UK Sport Elite Coach Programme, links up with former Bath and England teammate Richard Hill. Redman also won 20 caps for England, making his debut when he was 19-years-old against Australia, and featured in two Rugby World Cups. He also represented the British & Irish Lions and captained them in South Africa in 1997 and has led the Barbarians.